The planned demonstrations are in response to a riot that resulted in seven deaths in April at Lee Correctional Institution in South Carolina. "The main leverage that an inmate has is their own body," protest spokesperson Amani Sawari told Vox. "If they choose not to go to work and just sit in in the main area or the eating area, and all the prisoners choose to sit there and not go to the kitchen for lunchtime or dinnertime, if they choose not to clean or do the yardwork, this is the leverage that they have. Prisons cannot run without prisoners' work." 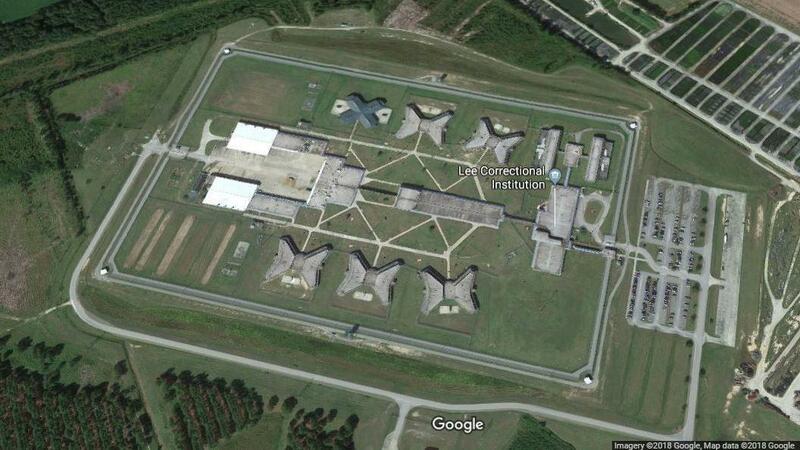 Inmates at federal, immigration and state prisons were expected to join the strike. Protests were planned in at least 17 states, according to multiple media outlets, but it wasn't immediately clear how widespread participation was. A spokesperson from the Federal Bureau of Prisons told NPR that as of 1:30 p.m. Tuesday, there had been no reports of inmate work strikes at any BOP facilities. Mia Beach, who works at a prison radio show called Kite Line Radio, tells NPR's Cheryl Corley that protesters have launched strikes in South Carolina, Louisiana, Washington and North Carolina, as well as Canada. The strike was expected to last from Aug. 21-Sept. 9, dates that carry symbolism. Tuesday is "the 47th anniversary of the death of the prominent Black Panther member, George Jackson, who was shot as he tried to escape in the prison yard of San Quentin in California," according to The Guardian. The final day, Sept. 9, coincides with the anniversary of the 1971 Attica prison rebellion in New York, Corley reports. Jailhouse Lawyers Speak, one of the groups organizing the strike, called the Lee riot "a senseless uprising that could have been avoided had the prison not been so overcrowded from the greed wrought by mass incarceration." The fights inside that high security prison lasted for hours, as NPR has reported, and more than a dozen other inmates were injured in the melee. "The director of the state's Department of Corrections, Bryan Stirling, has pointed to contraband cellphones as a contributing factor, if not the main cause, of the outbreak of violence," South Carolina Public Radio has reported. "Our collective message to prisoners, stop the violence against each other. Regardless of race, class or label, we are one," Jailhouse Lawyers Speak said in a statement. The protesters have issued 10 demands. They call for "immediate improvements to the conditions of prisons and prison policies that recognize the humanity of imprisoned men and women." They also want better working pay, saying that "all persons imprisoned in any place of detention under United States jurisdiction must be paid the prevailing wage in their state or territory for their labor." According to The Marshall Project, "the average pay for a prisoner working a job in a state prison facility is 20 cents an hour." "Prisoners want to be valued as contributors to our society," Sawari told Vox. "Every single field and industry is affected on some level by prisons, from our license plates to the fast food that we eat to the stores that we shop at. So we really need to recognize how we are supporting the prison industrial complex through the dollars that we spend." The protest organizers are also demanding that a federal law be rescinded that makes it more difficult for inmates to file lawsuits, and an end to what they term "racial overcharging, over-sentencing, and parole denials of Black and brown humans." They also want to see more rehabilitation services and the rights of current and former inmates to vote. More than 2.1 million people were incarcerated in the U.S. in 2016, the most recent year available, according to data from the Bureau of Justice Statistics.